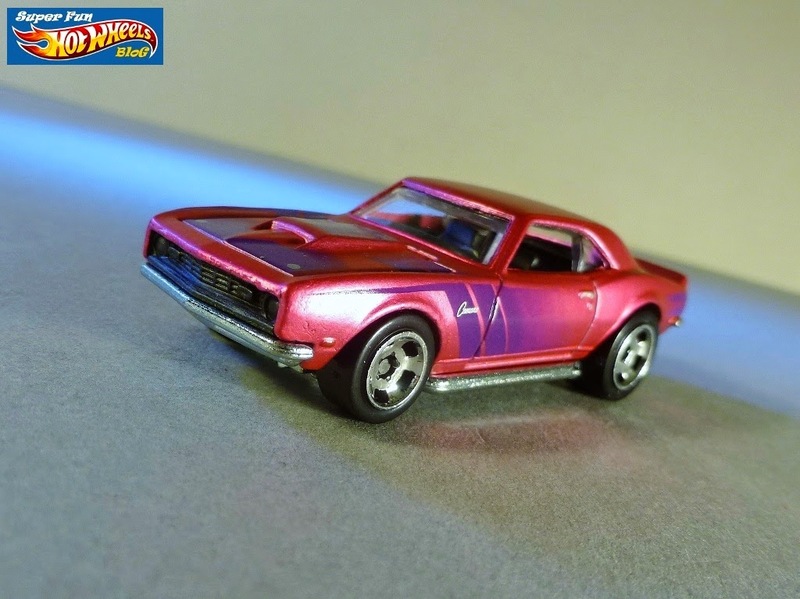 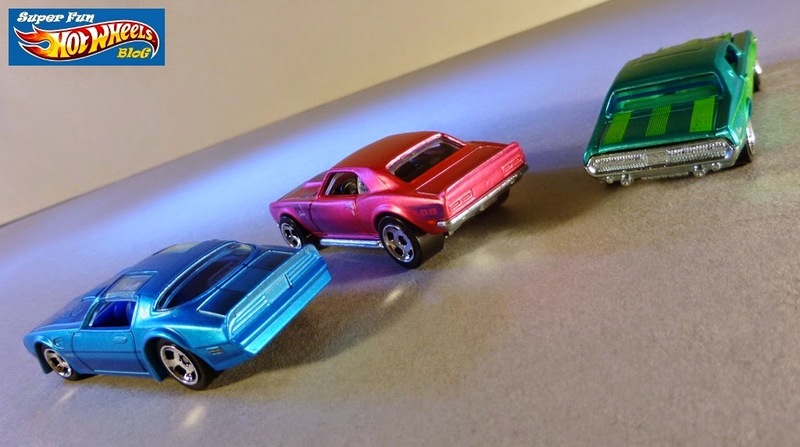 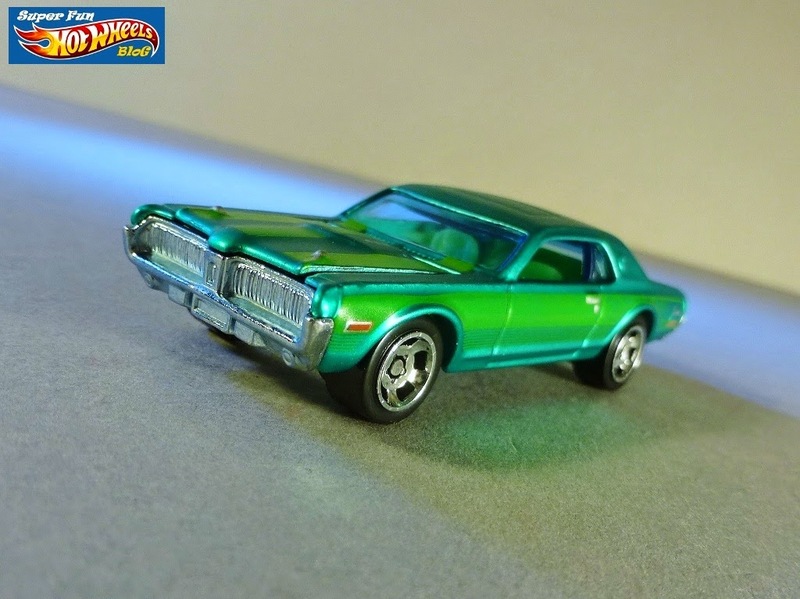 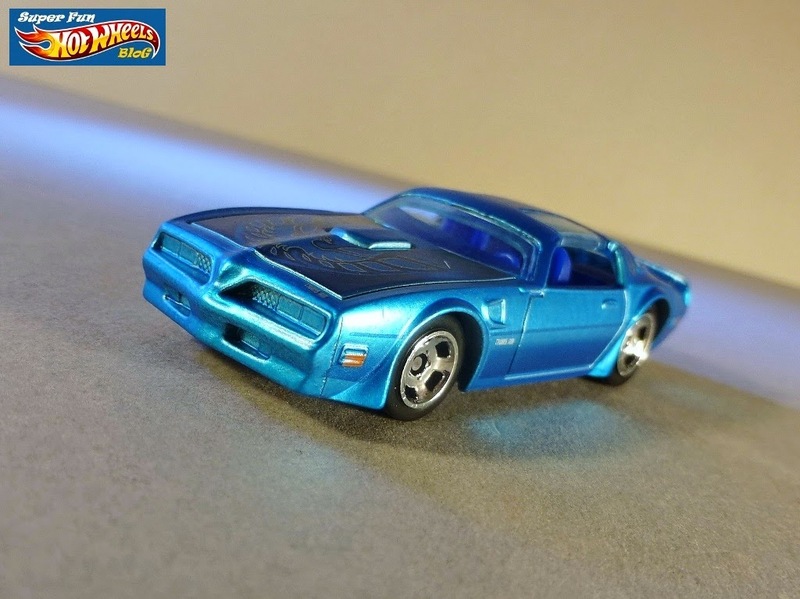 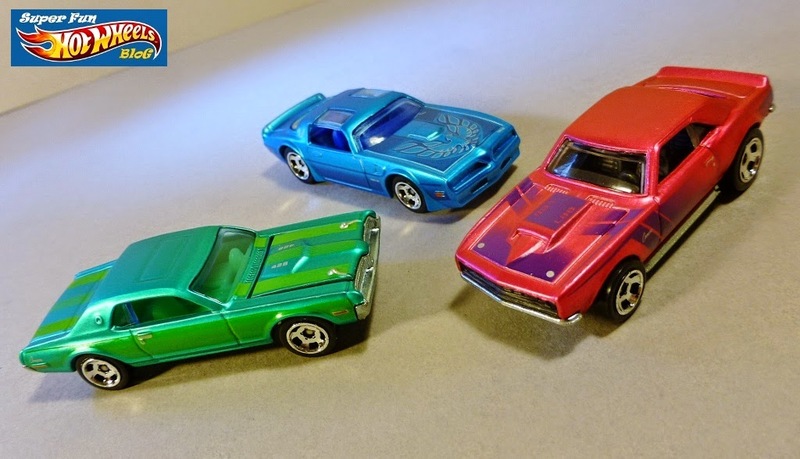 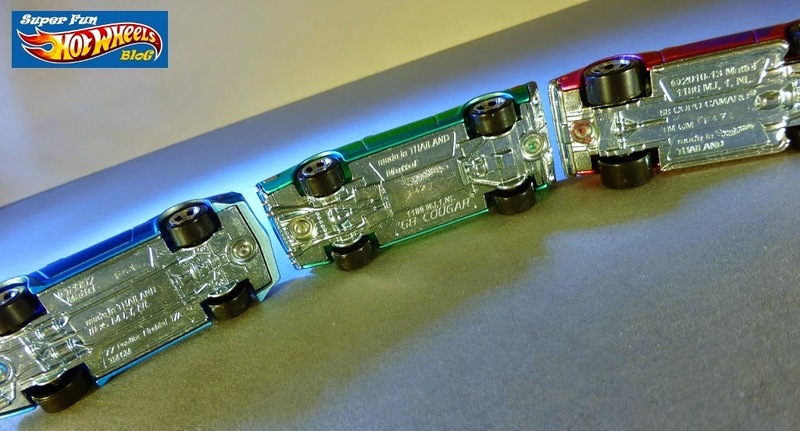 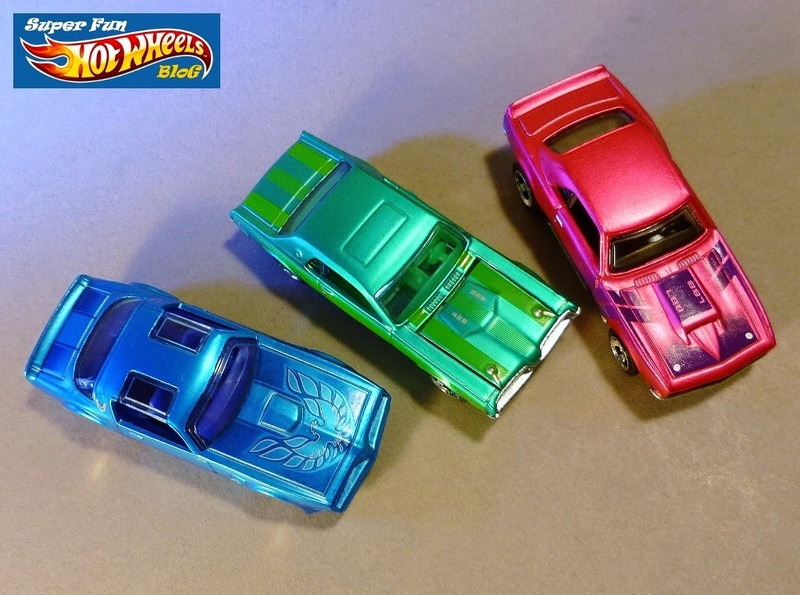 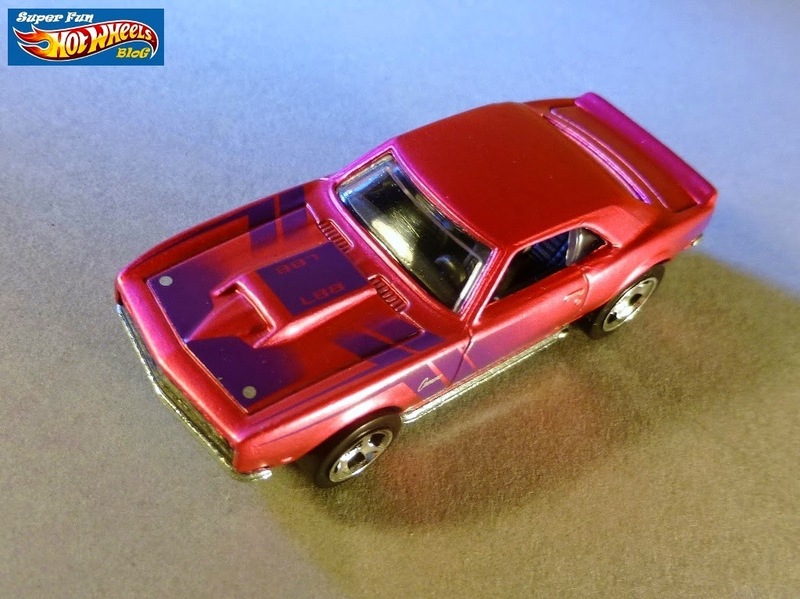 The extra paint apps on the door handles, hood pins, and blinker lights really add a lot to the Cool Classics line, and the paint deco on these three are great, the '77 Firebird's being particularly attractive. 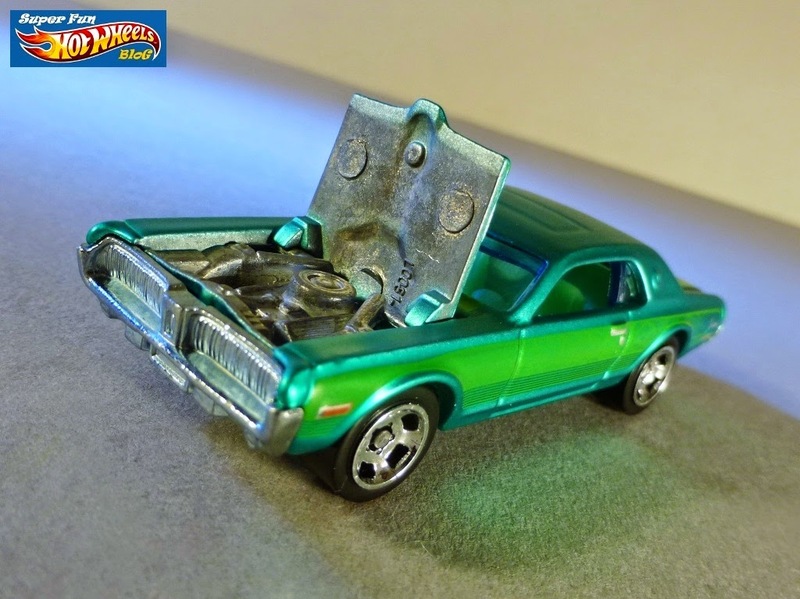 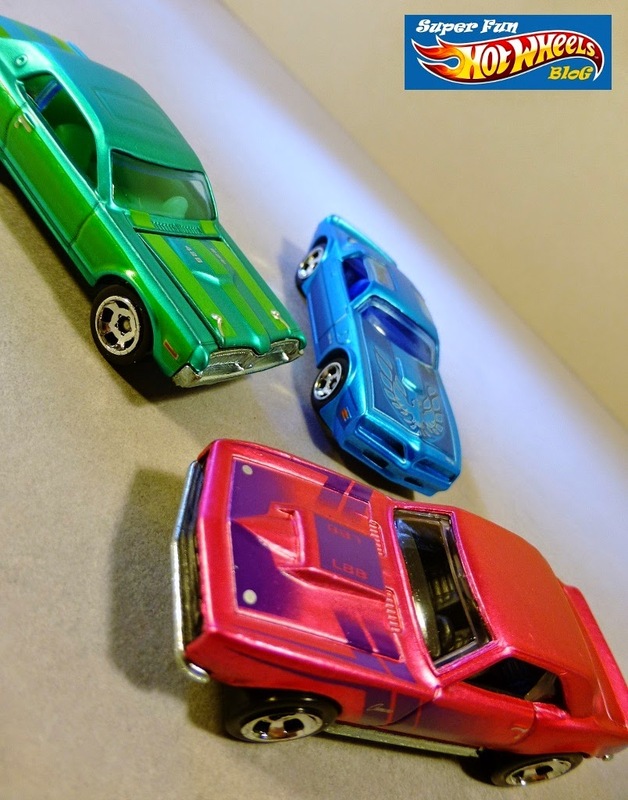 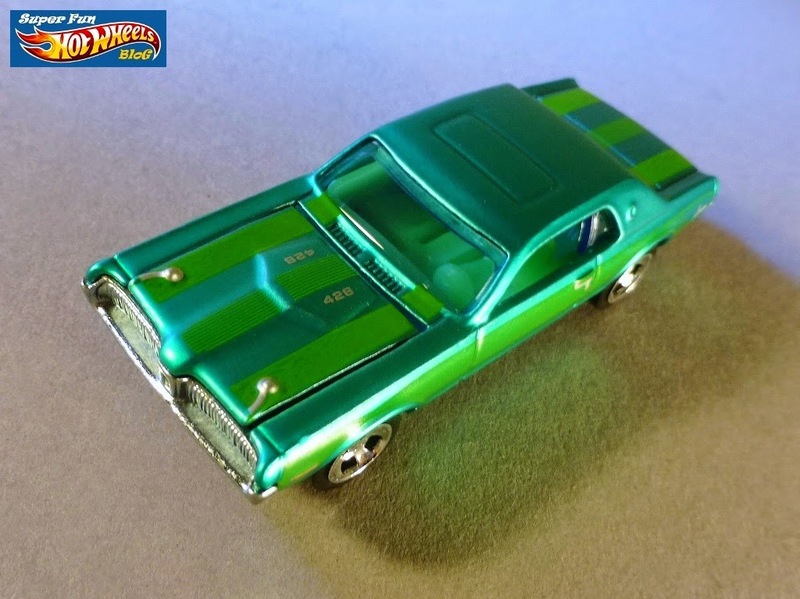 The '68 Copo Camaro probably has the most eye-catching color in Spectrafrost magenta, but the green '68 Cougar is nothing to sneeze at either, and has the added benefit of a hinged hood. 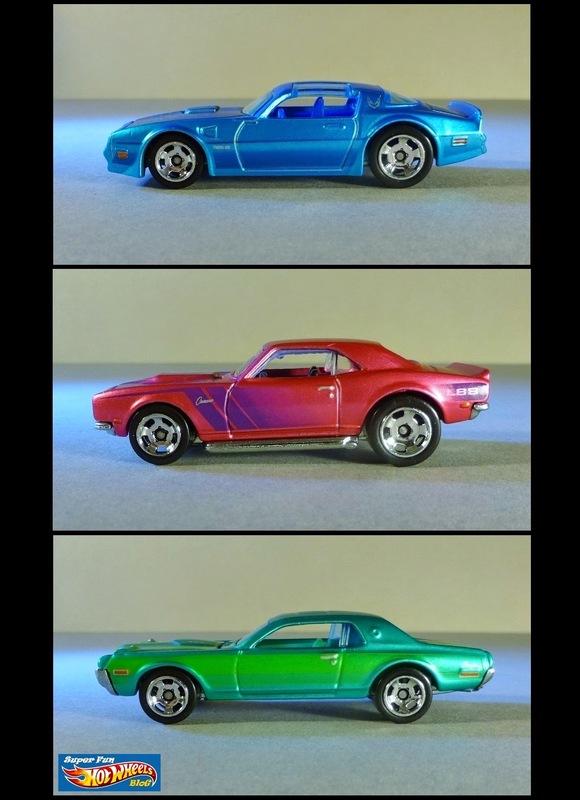 Which is your favorite ...? 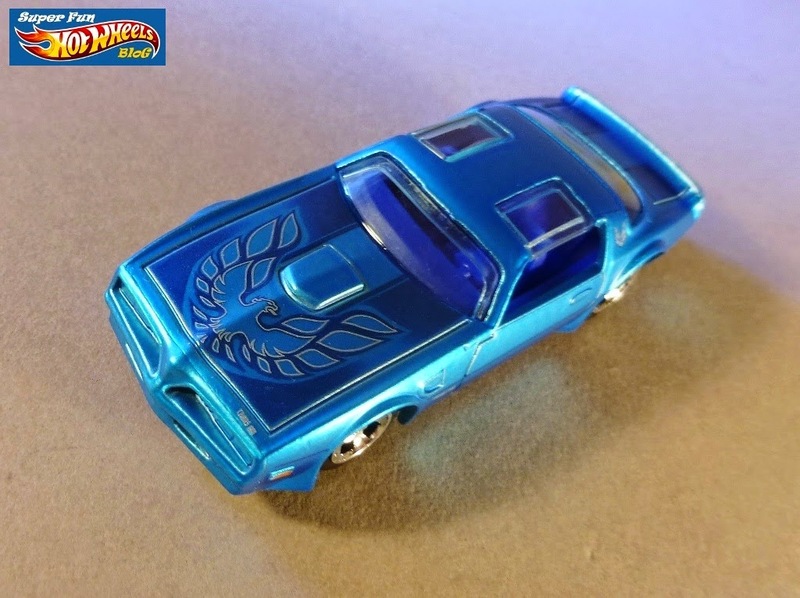 Really digging the blue one with that hood design!